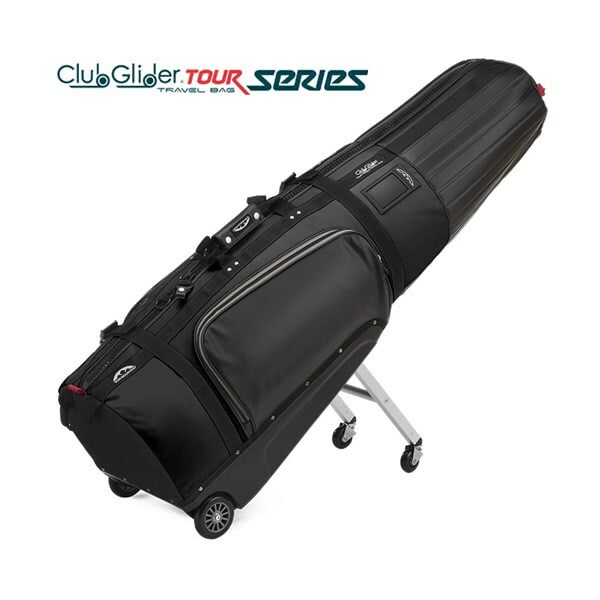 The Sun Mountain ClubGlider Tour Series Wheeled travel bag is the perfect way to transport your golf bag around hassle free. 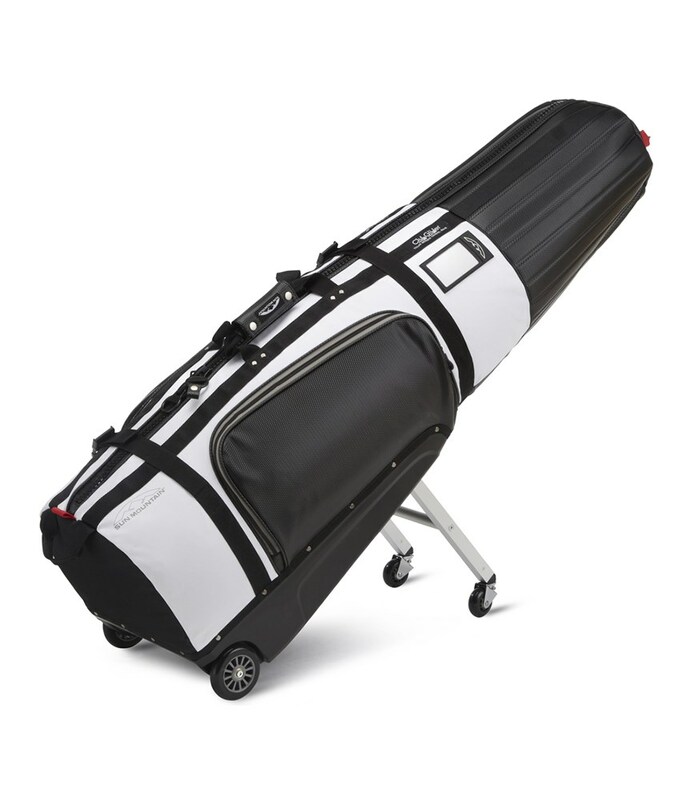 Constructed from a double vinyl material the Sun Mountain ClubGlider Tour Series Wheeled travel bag has been built to last. The material is extremely durable and Sun Mountain have also used heavy duty tank zips to reinforce the durable of the zips and make opening all that much easier than fiddling around with smaller zips. For superior manoeuvrability Sun Mountain have used pivoting castor wheels on the leg mechanism and in-line roller wheels on the base of the bag. 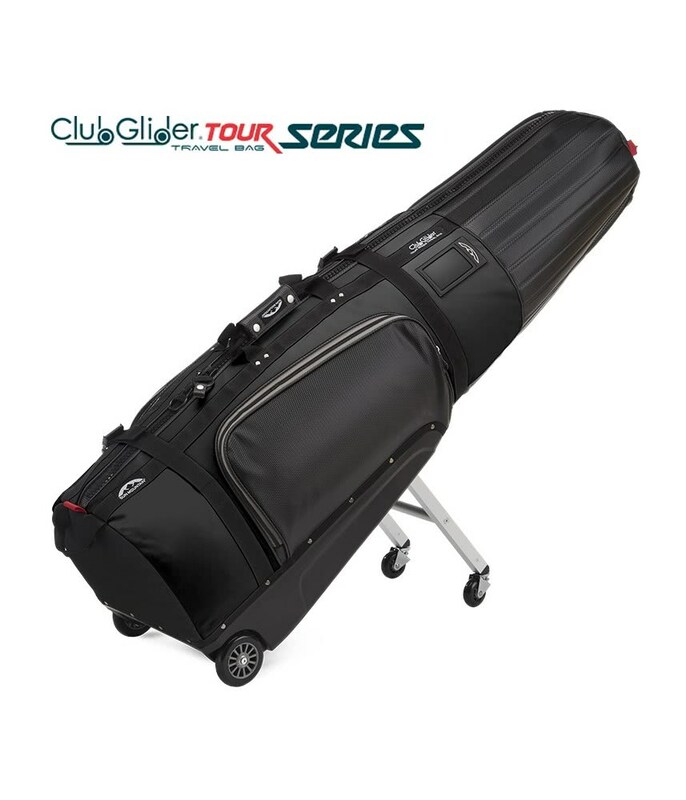 The Sun Mountain ClubGlider Tour Series Wheeled travel bag moves effortlessly over all kinds of surfaces. The large compartment will hold all styles of bags and up to staff bag sizes. Internal and external cinch strap secure your golf bag in place during transit and the leg mechanism extends and retracts in the base of the bag in seconds. 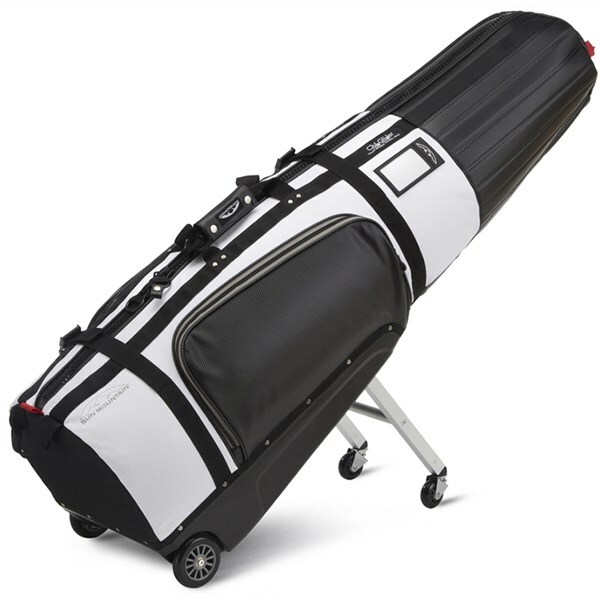 There are two external zippered pockets to hold all your golfing essential and to make the ClubGlider safe and secure it comes fitted with a TSA lock.